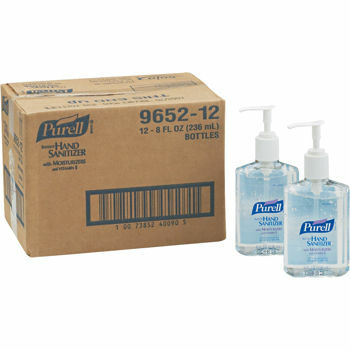 Purell Instant Hand Sanitizer Pump Bottle 8oz 12count per case. Kills 99.99% of most common germs that may cause illness Works in as little as 15 seconds No water or towels needed Specially formulated with moisturizers to leave hands feeling soft and refreshed Alcohol-based 8 oz. 12 ct.